When in doubt about what to post, it’s always easy to fall back on flower photography and love poetry. 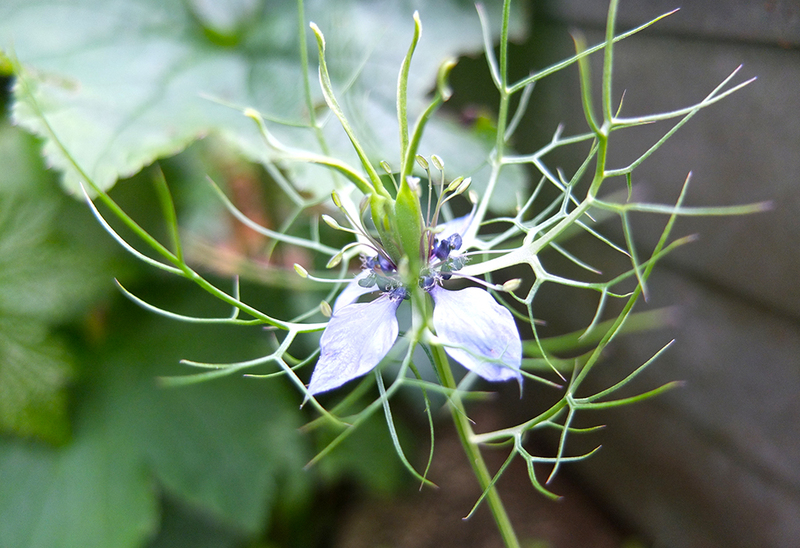 And as I have a set of photos of love-in-a-mist at different stages of flowering, it seems appropriate to find some poems of the different stages of love. It’s there in the air between them. map points along the borders. in the space where their lips meet. in summer drought and darkness. 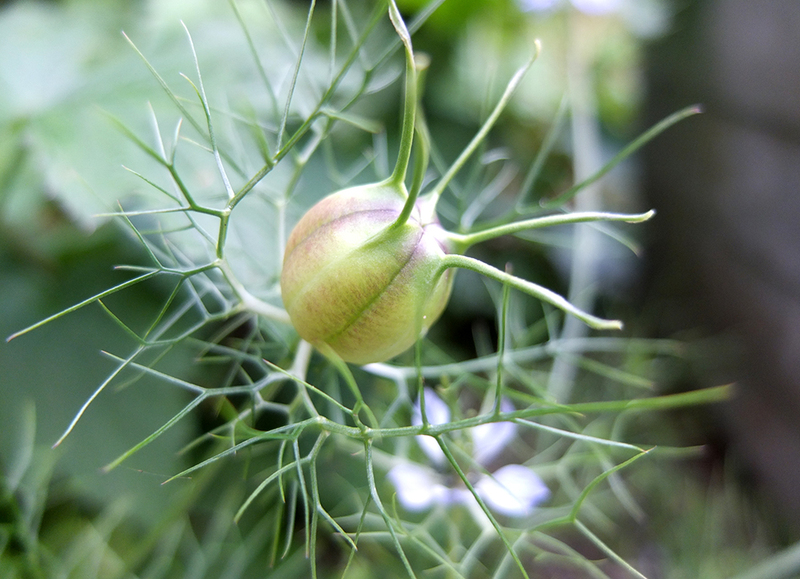 But we should, perhaps, remember that it’s in the nature of things to go full circle; the seasons turn and those seeds pods will eventually burst and there will be new plants and new flowers next year. and the first time you say it, it trips your tongue and we both laugh. the same movies and read the same books. The waitress comes to take our order: –Coffee, black, no sugar. are way down on both our lists. if you realise this makes us astrologically compatible. if you, too, hum in tuneless contentment in the kitchen making toast. the first time we’d heard it. as if I’ve rediscovered electricity. In the street, acacia trees are shedding blossoms. it’s better than the bus – and you stand on the escalator step below me. Now we’re the same height, your eyes level with mine. Great notion of poetry mixed with beauty of flowers . Thank you. Lovely verses, esp. 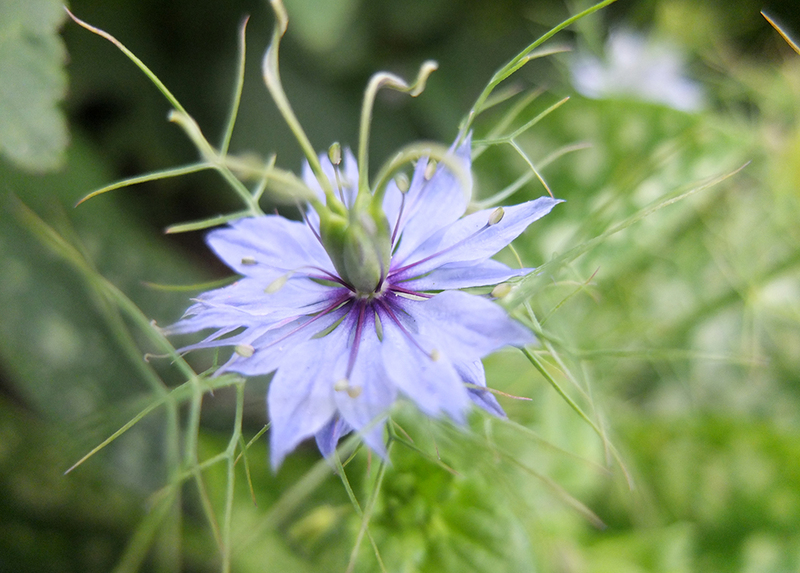 the clumsy hands; the flower is definitely sinister though. 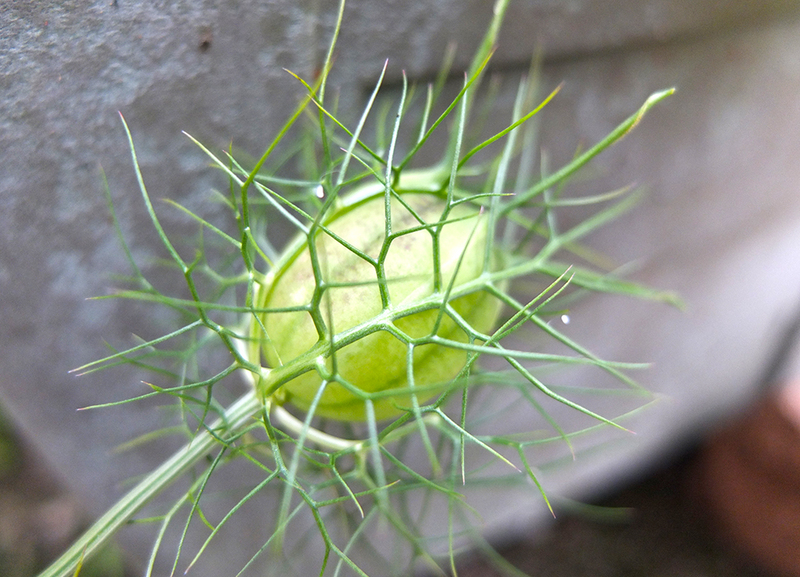 I always thought of love-in-a-mist as pretty, delicate and quaint; then I actually noticed the seed pods, which look like something out of a sci fi film. I need to find out what they look like when they’re fully ripe and ready to burst or drop or whatever they do.